Below you can view all the homes for sale in the West Square Historical subdivision located in Salisbury North Carolina. 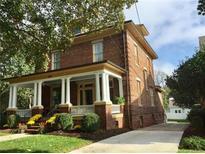 Listings in West Square Historical are updated daily from data we receive from the Charlotte multiple listing service. To learn more about any of these homes or to receive custom notifications when a new property is listed for sale in West Square Historical, give us a call at 704 604 8836. 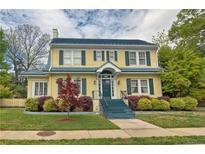 Located within walking distance to downtown with great shops. MLS#3477916. Chic Living LLC. 10' ceilings. Private backyard with brick patio. MLS#3485082. RE/MAX Leading Edge. Historic zoning overlay applies. No yard sign yet. MLS#3462963. Arey Realty. Other features include cedar closets, courtyards, detached 2 car garage, garden shed, lovely landscaping, sprinkler system, and spacious rear yard behind the garage. MLS#3385618. Coldwell Banker Residential Brokerage.